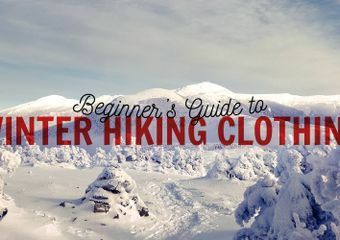 In the last post we introduced the basics of how to dress for hiking as well as what to wear for winter specifically. In this post we will discuss how to dress for shoulder season and summer. A lot of the gear I wear in winter I carry in my pack during shoulder season, so some of the items I’ve already outlined in the last post may appear in this post as well. Summer is the easiest season to dress for, and I would recommend starting with picking out gear for summer and then work on building your wardrobe for winter and shoulder season. 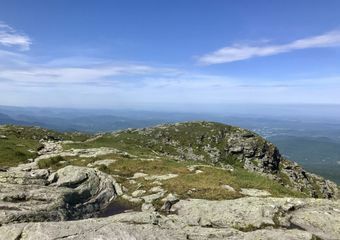 Disclaimer: This post contains my personal preferences and what works for me as a hiker. I am not a professional nor do I think that what works for me will work for everyone. From left to right: Smartwool 250 Base Layer, Lucy Tank Top, EMS Techwick T-shirt. In the summertime, my gear remains consistent. What I wear is the same on every hike, and what I carry is the same, unless I’m going to be hiking a Northern Presidential or Katahdin. 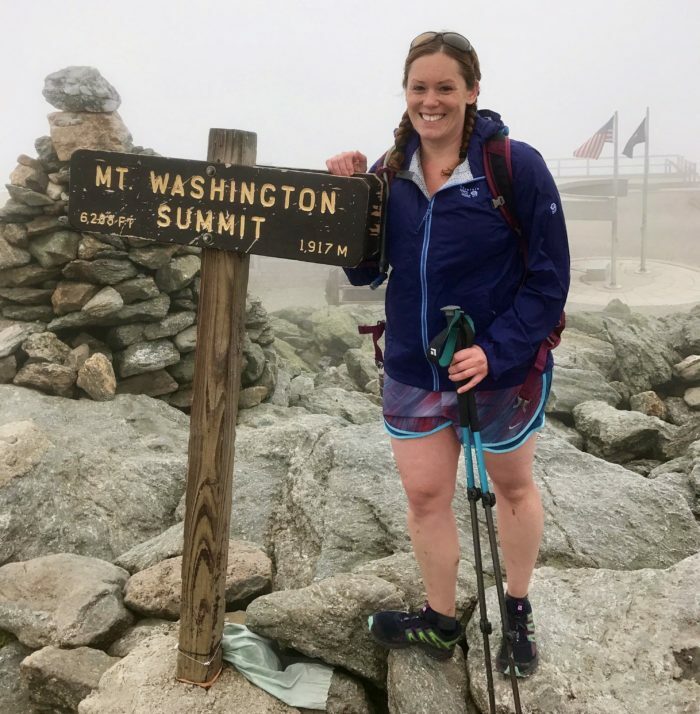 I run warm and sweat really badly (I cannot emphasize how badly I sweat), so I usually hike in my sports bra, but I carry a tank top in my pack (which I usually wear until the sweating begins—three minutes into the hike). I love every item I wear in the summer. 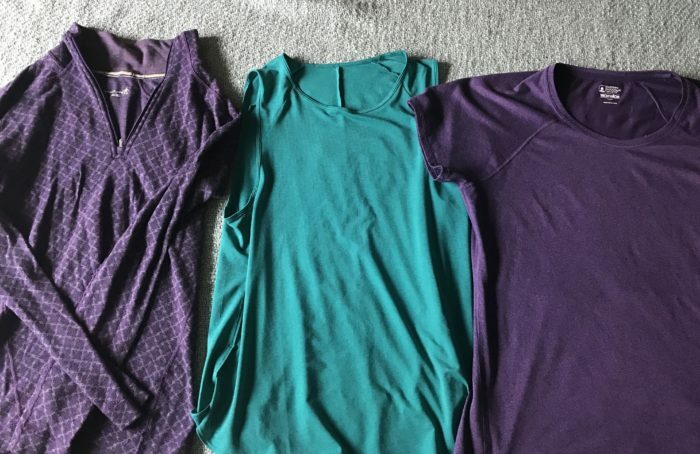 It took a lot of trial and error to find gear that works for me, but these three items are my go-to pieces of gear in the summer. 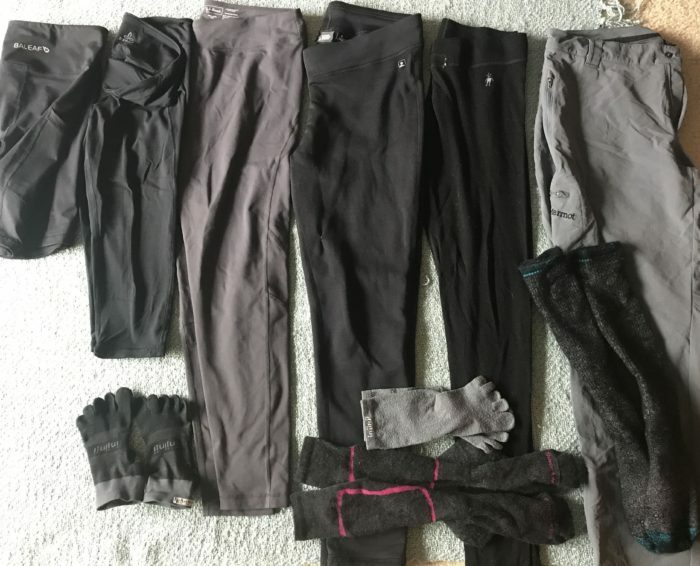 From left to right: Baleaf Shorts, Prana Capris, LL Bean Leggings, EMS Leggings, Smartwool Leggings, Marmot Pants, Injinji Socks, Injinji Sock Liners, Smartwool Socks, Darn Tough Socks. Shoulder season runs (in my mind) from around March to late May, and then from mid-September to late November. The gear I wear changes from hike to hike because the weather varies drastically. What I wear depends largely on weather forecasts and trail conditions. I typically carry more gear than I wear because I want to have extra layers in case I need them. 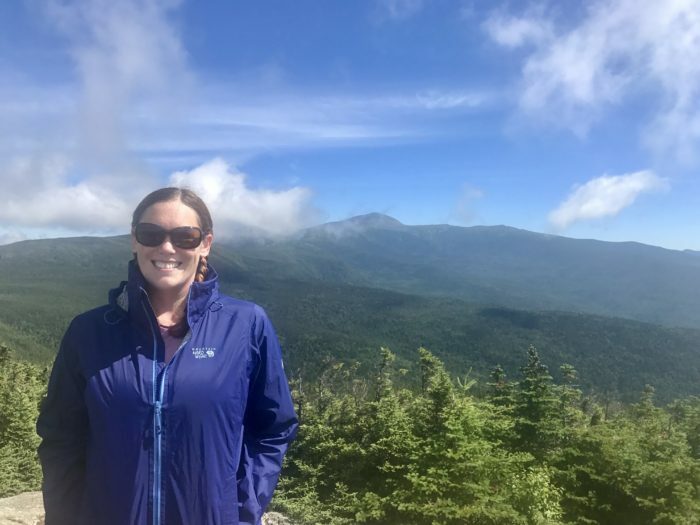 I carry a lot of my winter gear in shoulder season, and depending on need I will rotate through that clothing on my hike if I get too hot or cold. 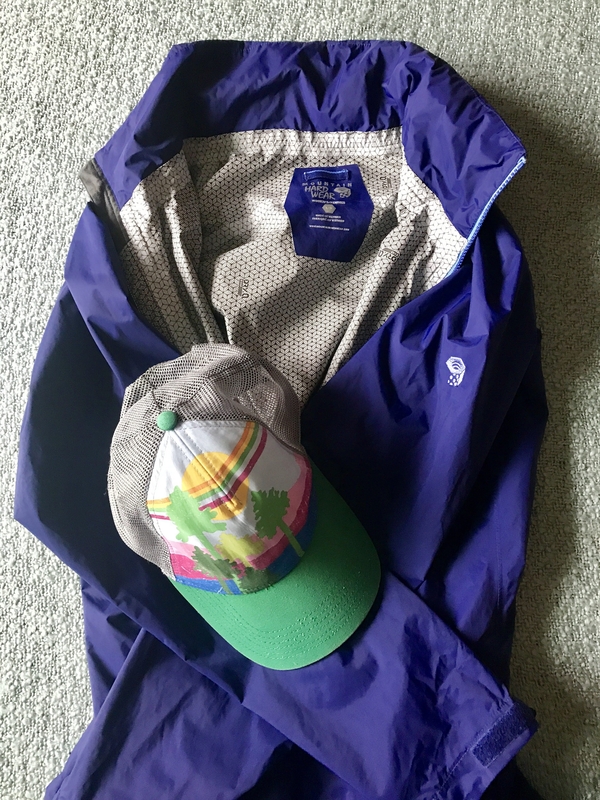 Mountain Hardwear Jacket and hat. As I stated in my last post, I live in trail runners because my feet cannot handle hiking boots. Until the snow starts to fall, I wear Salomon X-Mission 3 Trail Runners. I love Superfeet insoles and always have those in my shoes as well. Your shoes are one of the most essential purchases to get right, because, let’s be honest, if your feet hurt it’s going to make for a miserable time in the woods. I tried many different pairs of hiking boots before finally settling on the first pair of trail runners I bought and have stuck to those ever since. Don’t be afraid to test out different shoes until you find the one that works for you. Finding what clothing works for you takes time and, unfortunately, money. What I have learned is that it’s better to spend more money on the bigger items, (jackets, insulating layers, and shoes) and look for cheaper prices on things like summer shorts and tank tops. I also recommend doing your research before making a purchase. I now own three insulating jackets and only like one of them because the other two were “good deals.” Take your time and don’t be overwhelmed with how much gear is out there. In the next post, we will discuss what gear I carry in my pack.